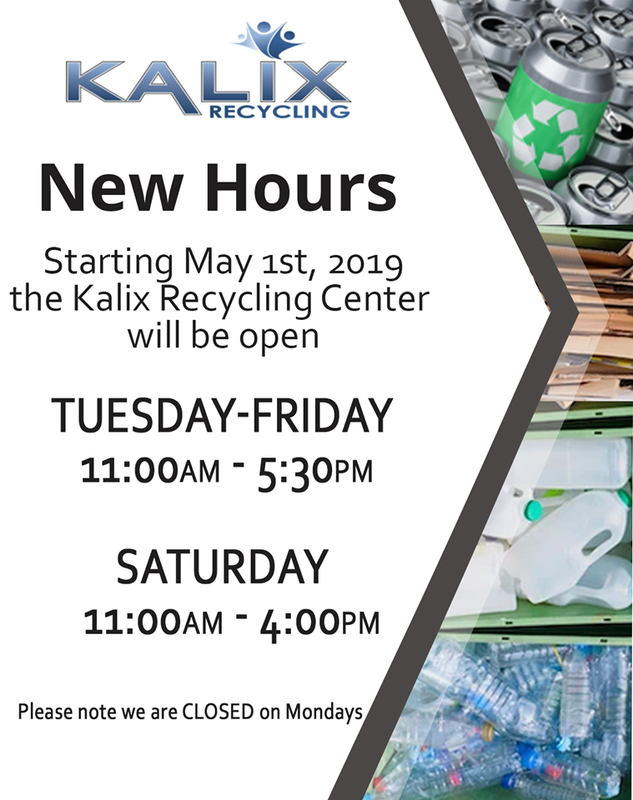 Starting May 1st, the Kalix Recycling Center will no longer be open on Mondays. Our new hours will be Tuesday-Friday 11:00AM-5:30PM and Saturday 11:00AM-4:00PM. 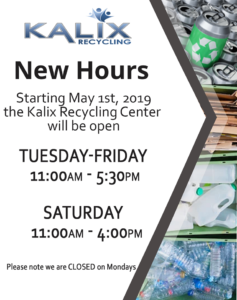 Check out https://www.kalixnd.org/recycling/#recycle-materials for the list of recyclables we accept. We continue to look forward to your business.